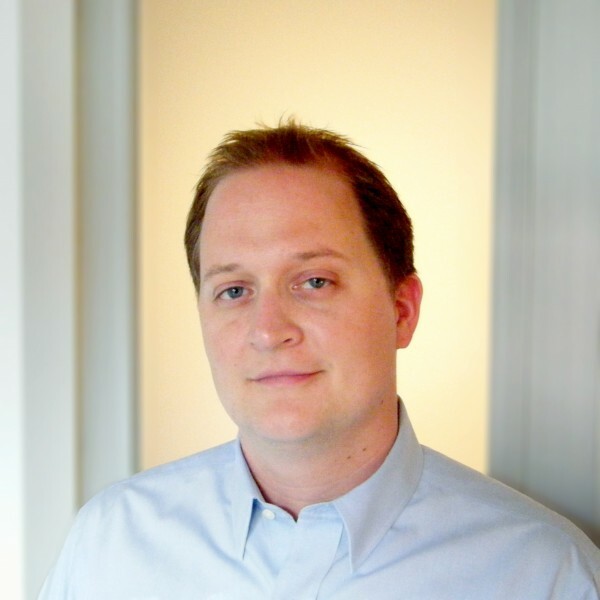 Shane Harris (’98) has been writing about intelligence and national security for 10 years. He is a senior writer at Washingtonian magazine and was a staff correspondent for National Journal. His book, “The Watchers: The Rise of America’s Surveillance State” (Penguin Books, 2011), highlights a dangerous paradox: the government’s strategy has made it harder to catch terrorists and easier to spy on the general public. It was named one of the best books of 2010 by The Economist. After Sept. 11, 2001, this refrain emerged that the government had “failed to connect the dots” about the attacks. The agencies like the CIA, the FBI and the NSA, which had been tracking various pieces of the emerging plot, never put their heads together to make sense of the whole picture. As a journalist covering the government’s response to 9/11, I got to know a number of officials who were trying to predict the next attack, and who were proposing some very innovative and controversial ideas about how to do that. I felt that no one had told the story about this secret and deeply important work. I wanted to know if these ideas would work — if they’d actually make the country safer — or if they were a threat to all our civil liberties, maybe even on a scale that we couldn’t comprehend. The more I got to know the people involved in these efforts, I learned that many of them were personally connected to each other, and they’d been involved in this work for years before 9/11. I realized there was a gripping personal story there. I didn’t want to write a policy book. I wanted to write a book about people, a nonfiction spy thriller. To me, that was the best way to illuminate the complex, abstract issues of security and liberty. How were you able to gain access to figures such as Reagan-era National Security Adviser John Poindexter? Did you ever feel you might be exposing information that threatened national security? Before Poindexter and I ever met, he’d read some of my work about him, which he thought was thorough and fair. After he left the government and was free to talk to journalists, he decided it might be worth his time to talk to me. We ended up conducting more than a dozen interviews for the book. I didn’t think that what I was writing about could jeopardize national security. It might improve security because it points out what the government is doing wrong and suggests ways to fix problems. I gave officials in the government the chance to convince me that my writing could be harmful, and they couldn’t. I never showed them what I was writing but whenever I came upon a classified or sensitive subject, I always asked for official comment and reaction. Since the book came out, several former government officials whom I didn’t interview contacted me to say they thought the book was accurate and fair. Why is this an important read for Americans? Our government has developed an extraordinary capability to collect information on just about anyone, whether through your travel records, your personal communications, practically anything you do in the digital world. But by and large, the agencies that are in charge of preventing another 9/11-type event aren’t very good at making sense of all of this information. I think it’s important to understand our government’s capabilities and its limitations. To do that, I think you have to put yourself in the shoes of the people who’ve been fighting terrorism for a quarter-century and who are today on the front lines of this secret war. When you look at the world through their eyes — which is what I do in this book — things become a lot clearer, and often, more troubling. You realize that we’re really not doing enough to keep the country safe — from terrorists or from the government itself. Do you think most Americans are naïve when it comes to surveillance? Are they aware of The Watchers? I think most Americans have a vague sense that they’re being “watched,” but they don’t realize the extent of the government’s capability to collect information about them. And I think they’d be very surprised to find out that nearly all of this surveillance is legal; much of it wasn’t a decade ago. I also think they don’t understand what motivates The Watchers. It’s not some voyeuristic yearning to read people’s emails. 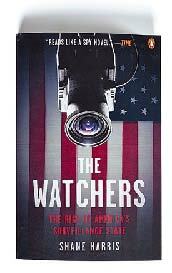 Nor are The Watchers motivated by a desire to squelch political dissent, as was the case during the intelligence abuses of the 1960s and ’70s. The people I write about in my book are deeply motivated by a desire to protect the country. But I think that sometimes their best intentions can blind them to the real damage they can do to liberty. The best of The Watchers — and to be sure, they don’t all come across glowingly in this telling — realize that what they do is essential, and also that it’s dangerous. They’re constantly mindful of keeping a balance, and they acknowledge they’ll never strike it perfectly. Should we be wary of online shopping and social networking? We should be mindful and sensible. I shop online probably every day — buying books, office supplies, even pet food. I also use social networks like Facebook and Twitter, mainly to keep up with friends and to interact with other journalists. There’s great convenience in all of this. But I’m also realistic about my expectations of privacy — I don’t have any — and I recognize that anything I do or write in the digital world leaves an indelible trace. I think that if you navigate online with the constant realization that you’re not alone, that there’s always someone or something watching, you’ll generally make good choices. You say that The Watchers have done a good job of collecting the dots but not the best job of connecting them. Is the current administration improving the “connecting” process, and is that essential to the war on terrorism? I don’t think the Obama administration is doing enough to connect the dots. The intelligence and security agencies need to focus their efforts on better analytic technology and better coordination. It’s frustrating to have this assessment 10 years after 9/11, because this is exactly what experts were saying immediately after 9/11. As recent failed attacks have shown, when the government doesn’t make important connections that might point towards a plot, it’s because there’s too much information in the system — we can’t find the signal in the noise. We can’t prevent every attack, but right now, we’re not doing enough to improve our chances. The administration and Congress also aren’t considering how to improve privacy laws and update them for the 21st century. In some ways, this is an even bigger concern. We haven’t had enough sensible, public debates about security and privacy. If we wait until the next attack to have that national conversation, history tells us that our leaders will make poor choices. Do you believe 9/11 could have been prevented if the dots had been connected? This is the big question for everyone who writes about or works in counterterrorism. Here’s how I look at it. I’ve gotten to know some of the key people who worked in the national security community just before the attacks, and who were reading the daily intelligence reports about an increased threat from Al Qaeda, practically right up until Sept. 11, 2001. They are some of the smartest and most selfless people I know. I honestly don’t know if they could have prevented the attacks with all the right information, but I know that if anyone could have, it would have been them. They know it too. They’ll be haunted for the rest of their lives about what they might have done. What were the highlights of your Wake Forest experience? I was a politics major. (This was back when it was called politics, not political science.) The dominant influence on my professional writing career was writing and performing with the Lilting Banshee Comedy Troupe and with the WFU Theatre and the Anthony Aston Players. I had extraordinary opportunities to write, and extraordinarily forgiving instructors! Most of what I do now is nonfiction narrative, so my experiences writing fiction for the stage were foundational. Nonfiction narrative has a lot in common with a stage or screenplay. You have characters, you have a story arc, and at the base of all of it, you have conflict. 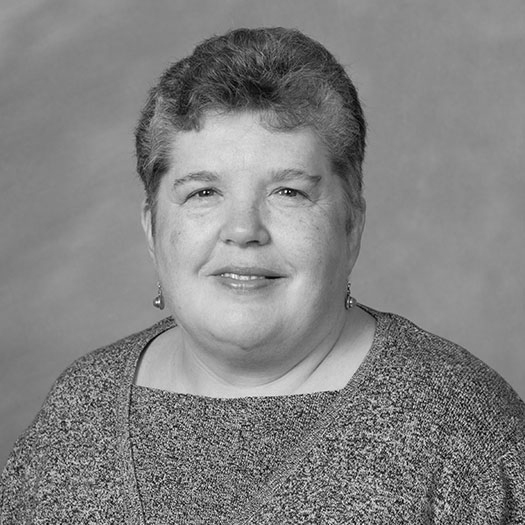 I also took screenwriting courses from Mary Dalton (’83) (communication), who, to this day, has done more to teach me about the craft of writing than any professor. Two of my politics professors, Kathy Smith (P ’06) and Hank Kennedy, also had a profound effect on the way I look at the world and process information. Did Wake Forest teach you to be curious, ask questions, and work for the common good? Absolutely. I can’t remember many professors who weren’t curious themselves, or who were more interested in finding answers than in asking questions. My best professors were risk-takers. They weren’t afraid to challenge convention or to let students experiment. They also weren’t afraid to let us fail. I learned as much from my failures as my successes, and my professors never faulted or praised me too much for either.